Are you on the hunt for the perfect gift for the foodie in your life? Perhaps you are at a loss as to what to get your friend who is a chef or the perfect food gift for men in your life. Food gifts are good for everyone! Your shopping problems are solved! You’ll find 30 gifts for foodies that will surely please the average foodie to the high end foodie on your holiday shopping list. From books to clothing and everything in between, read on to find that special someone the foodie gift of their dreams! 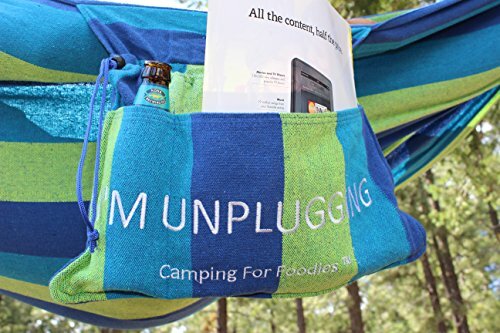 Camping For Foodies Hammock With Attached Carrying And Accessory Bag – Know someone who loves to relax in the great outdoors, unplugged from the world, with book and drink in hand? This hammock features a pouch, perfect for storing beverages, snacks and the latest good read while lounging in the trees. 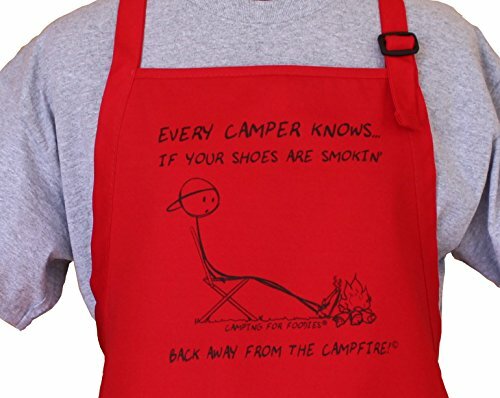 Camping For Foodies Campfire Funny Design Apron – Camping loving foodies will appreciate the humor and convenience of the tool holding pouches on this campfire designed apron. Help them stay clean, safe and lighthearted as they whip up breakfast in the wilderness. 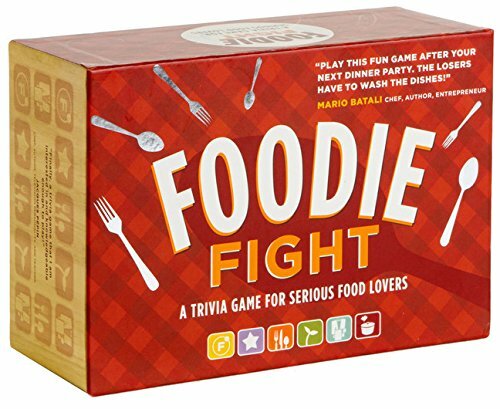 Foodie Fight: A Trivia Game for Serious Food Lovers – Game night just got a little tastier with this version of trivia – 1,000 questions ranging from exotic cuisine to food history to celebrity chefs. Paired with some gourmet popcorn and candy, and you’ve got yourself a delicious foodie gift basket to give away. 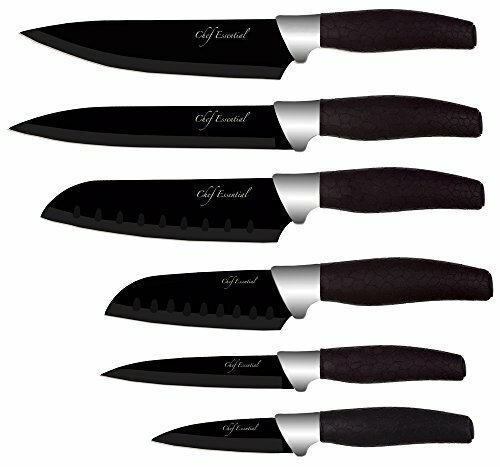 Chef Essential 6 Piece Knife Set With Matching Sheaths – A modern and sleek designed knife set will make any chef giddy. These tools feature non-slip handles, carbon steel blades, and protective sheaths (eliminating the need for a knife block) and are perfect for veggies, fruits and boneless meats. 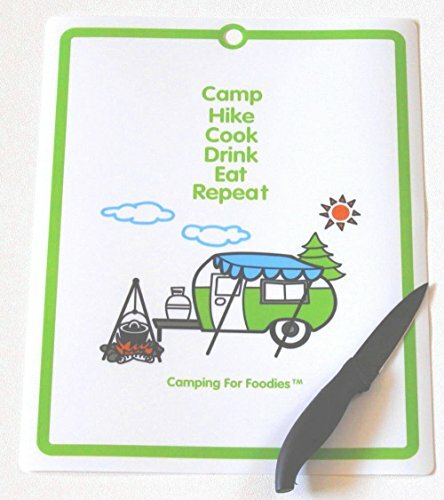 Camping For Foodies Flexible Cutting Mat – Whether it get hung in a camper, in the kitchen or at the cabin, this cheerful, flexible cutting mat makes chopping and transferring food to pans a breeze, not to mention it’s easy on the budget! 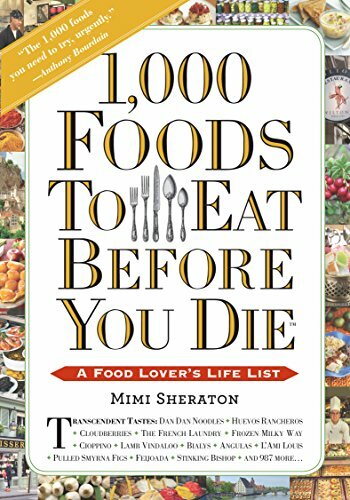 1,000 Foods To Eat Before You Die: A Food Lover’s Life List – Readers will take a journey through the world’s best dishes in this ideal book for foodies. Full of the simple to the exotic cuisine items with references on where to find each (whether it’s a restaurant, recipe or ingredient), your food loving friends are sure to have mouths watering and a new bucket list of food experiences to search out by the time they’re through. Rösle Stainless Steel 9-inch Mincing Garlic Press – Garlic presses aren’t all created equal – we’ve gone through plenty of them to know that a quality tool is worth every penny spent. If you know someone who loves to create delicious, garlicky dishes, this garlic press is the ultimate – they will be thanking your over and over. And just maybe, you’ll get an invite for dinner! 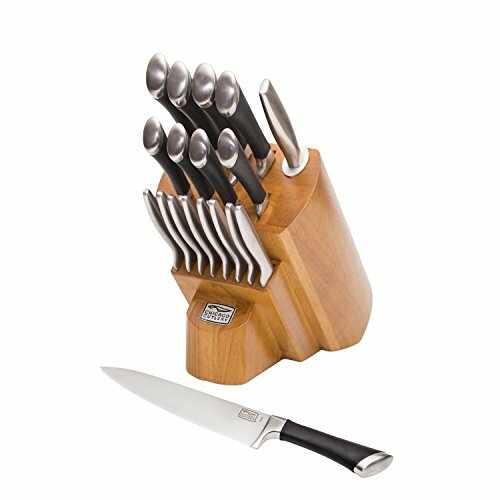 Chicago Cutlery 18-Piece Knife Block Set – Any cook knows that quality kitchen tools make the difference when navigating through recipes. Quality knives are an absolute must, especially when they come with a lifetime warranty. Give a gift that will last a lifetime with this set of Chicago Cutlery and set your loved one up with all the precision essentials they could want. 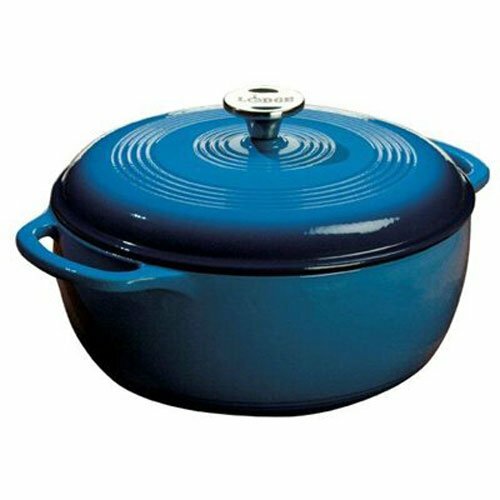 Lodge EC6D33 Enameled Cast Iron Dutch Oven – Whoever said you have to spend a fortune to own a quality dutch oven!? The Lodge brand makes durable, stylish and easy to use/clean dutch ovens that are perfect for any kitchen. The 6 quart size is great for family meals with a few leftovers to go around. 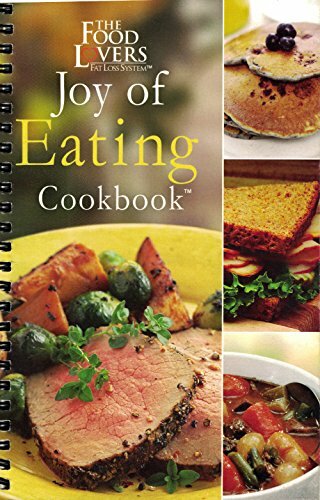 The Food Lovers: Joy of Eating Cookbook – If you know someone who loves food but is trying to lose weight, this cookbook offers ideas for healthy yet tasty recipes that can still make tastebuds sing. 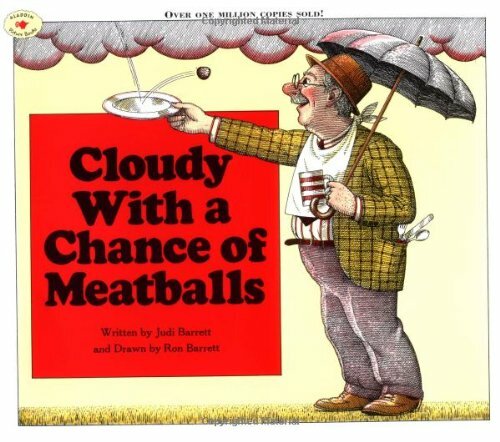 Cloudy With a Chance of Meatballs – Inspire the little chef in your life with this lighthearted children’s book that imagines what life might be like if food fell from the sky. 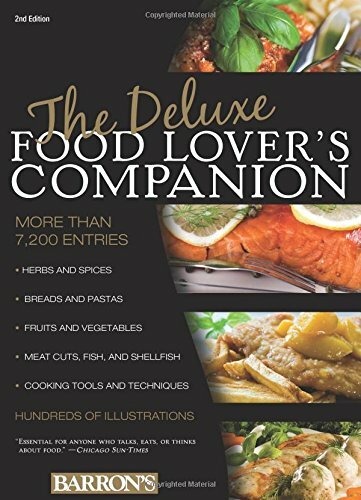 The Deluxe Food Lover’s Companion – Seeking a unique gift for foodies? This dictionary-style reference to any kitchen question. Whether it’s an ingredient substitution, a measurement conversion, or wanting to understand the difference between a red, white and regular ginseng, this book holds 7,200 entries of useful information for the chef – or home cook – in your life. 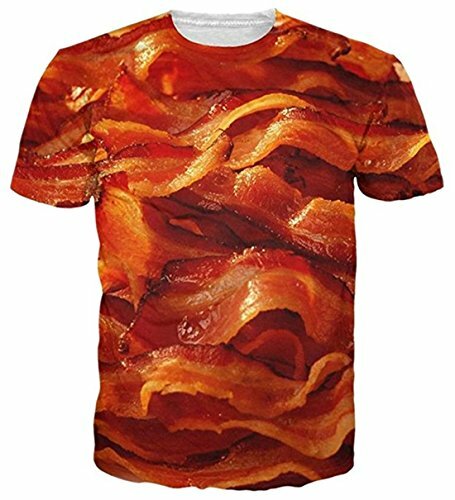 Uideazone Mens 3d Delicious Food Bacon Print Tee – Could this be one of the best gifts for foodies? It is if you know someone who never sems to have enough bacon in their life! This t-shirt is the perfect piece for their wardrobe, not to mention great for a few laughs when opened. 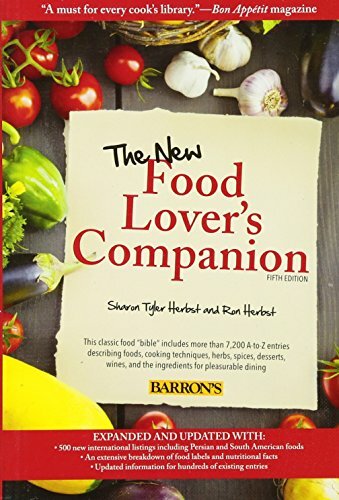 The New Food Lover’s Companion – Whether a novice or pro in the kitchen, this reference guide has something for everyone. With breakdowns of food labels, cooking technique definitions, microwave oven conversions, substitution charts and more, many seasoned cooks have called it their “food bible” and swear they couldn’t live without it in their kitchen. 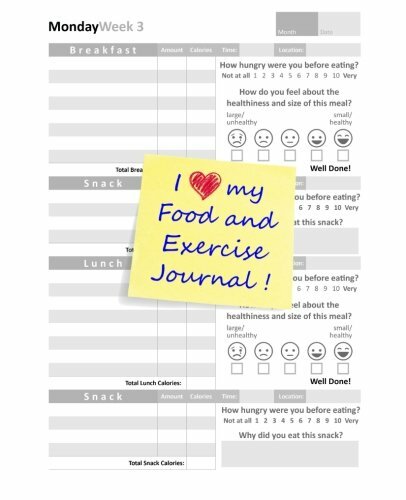 I Love my Food and Exercise Journal – Help loved ones reach their health goals for the new year with this food and exercise journal. With an easy to follow format, users can document their food intake, calories consumed and exercise achievements for each day to find that healthy balance between food and movement on a daily basis. Food Jewelry – Grilled Cheese Earrings – In my foodie heart, there is a soft spot for the comfort of a grilled cheese – buttery bread sandwiching gooey cheese makes me so happy inside, and I can’t be the only one out there. 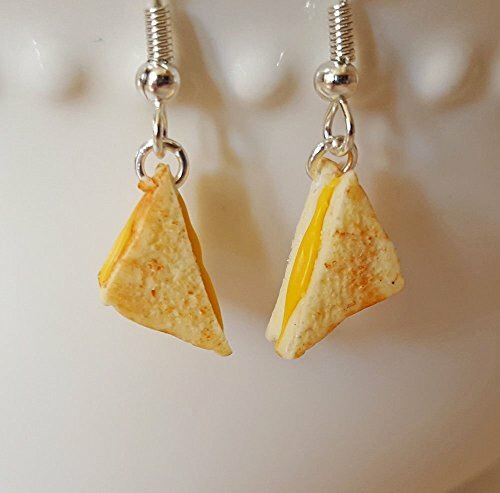 Grilled cheese earrings are sure to be a conversation piece in any foodie’s wardrobe. 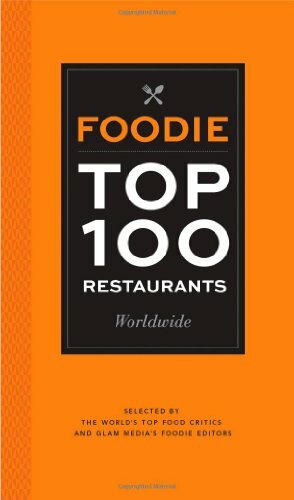 Foodie Top 100 Restaurants Worldwide – Top food critics joined forces to compile this list of 100 reservation-worthy restaurants from around the globe. 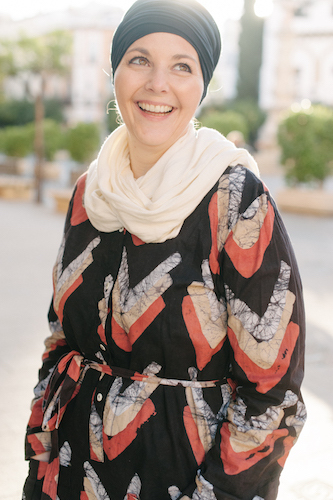 With pictures, menus, critics’ tips and more, this book will inspire any traveling foodie to seek out the most innovative spots to nosh on their next travel adventure. 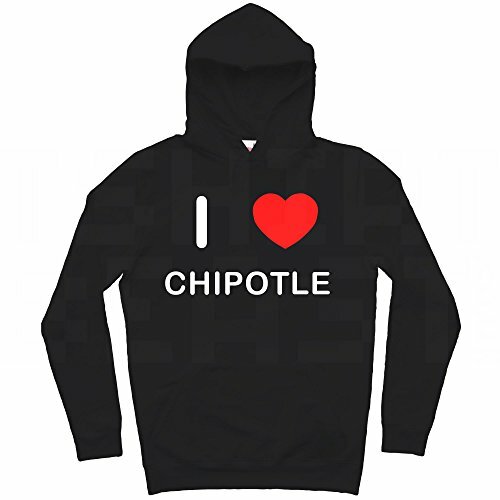 Men’s I Love Chipotle, Funny Spicy Food Lover Shirt – A shirt for that friend who can never get enough spice – you know the one, who always requests 5/5 on the heat factor at a restaurant, smothers anything from meat to potatoes to eggs in hot sauce, and when you share a spicy recipe with them, it’s never quite hot enough for their preference. Instead of buying them hot sauce (again! ), opt for something a little more unusual. 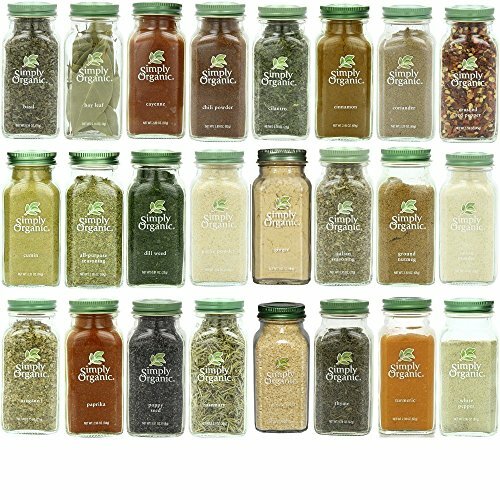 Simply Organic Gourmet Top 24 Spices Set – Stock up the pantry with this 24 set of kitchen essential organic spices. This is the perfect gift for spice lovers who might need their kitchen restocked with something they are sure to use and love. 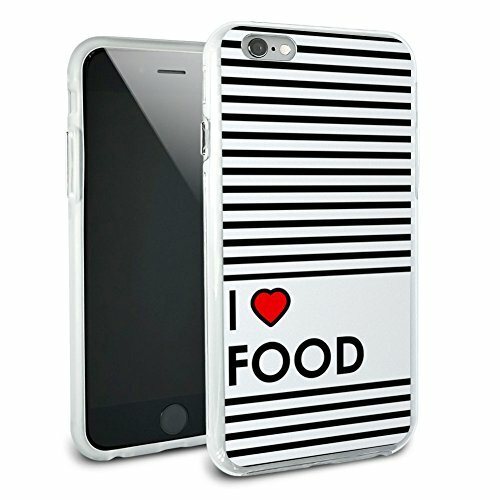 I Love Heart Food Protective Slim Hybrid Case for Apple iPhone 6 6s – Sleek and simple in design, if your foodie friend has an iPhone, help them cover it with words they love. Women’s I Work Out Because Burritos Are Freakin’ Delicious! T-Shirt – If you know someone who loves to eat, loves to (or at least chooses to) workout, and has a great sense of humor, this shirt is sure to bring a smile. Kids Jame’s Designs: I Love Spaghetti – Who doesn’t love a good, old fashioned, plate of spaghetti!? Kids will get a kick out of wearing one of their favorite foods on their own foodie styled shirt. 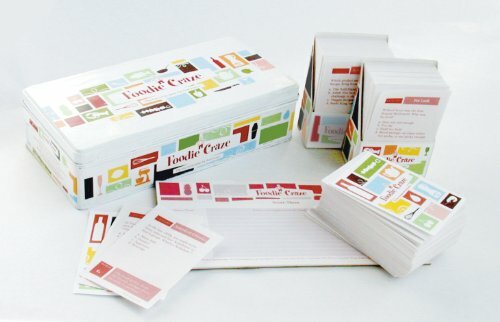 Foodie Craze the Food & Wine Trivia Game – Let your foodie loved one test their knowledge on cooking, food, wine and history with this unique game designed for the food lover, no matter how “seasoned” in their cooking experience they may be. The Foodie’s Coloring Book – This gift is perfect for those whose motto is “cooking is art”. 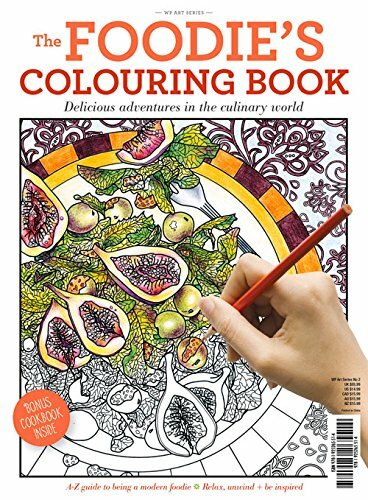 Paired with a set of colored pencils, and you’ve got yourself the perfection combination of art and food in this beautifully designed adult coloring book. 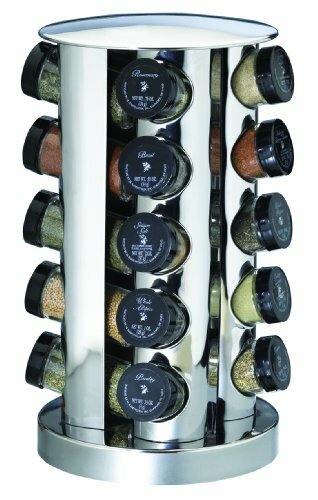 Kamenstein 20-Jar Revolving Spice Tower with Free Spice Refills – Give the gift of flavor with this revolving spice rack which features 20 kitchen essential FDA-approved spices. This rack is perfect for those who love to cook from scratch, as spices can be refilled for free for up to 5 years! 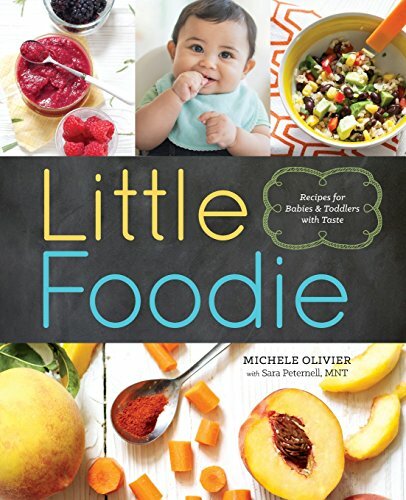 Little Foodie: Baby Food Recipes for Babies and Toddlers – Does your food loving friend have little ones at home? This cookbook proves adventurous foods can be part of the diet at any age. Baby and toddler recipes include unique purees all the way up to toddler finger foods, which include a chicken tajine and even a toddler-approved sushi bar. 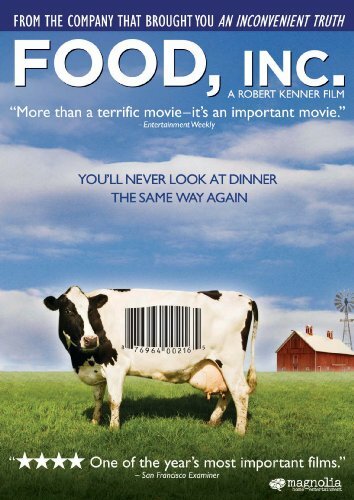 Food, Inc – Food and politics come to play in this movie on how corporate America controls the food industry. If you know someone who likes to dig a little deeper into the processes bringing food to the table, this is an intriguing film to share. Trader Joes Essential Everyday Seasoning and Spices Gift Set for foodies – Trader Joe’s might be one of my favorite grocery stores with all of the unique world foods they offer, not to mention the crazy good deals they have on cheese! Don’t have a Trader Joe’s location near you? 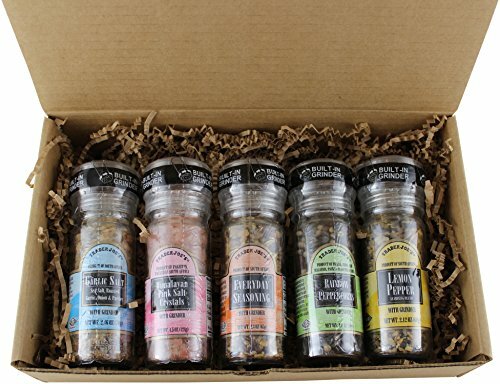 Trader Joe’s exclusive seasonings can now be purchased online, and make a great addition to any kitchen. 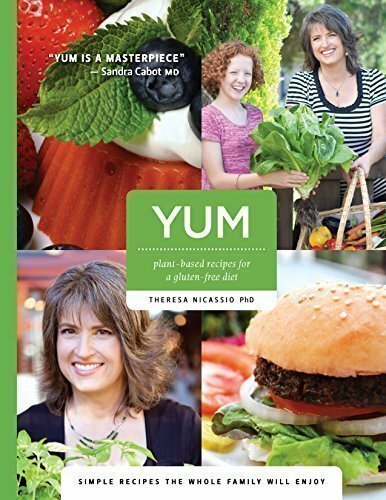 YUM: plant-based recipes for a gluten-free diet – This unique cookbook offers healthy, plant-based meal ideas for gluten free dietary needs and makes cooking with new ingredients fun and educational- a great addition to any cookbook collection for those with special dietary needs and restrictions. 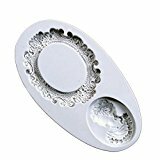 Lady Cameo Silicone Mold Food Safe Craft Mold – Know someone who loves to host themed parties or is all about the details when it comes to their baking and cooking? Now they can create one-of-a-kind candies, mints, ice, butter or even fondant pieces with this Victorian styled cameo mold. Hey Amanda, I love this post. I actually saved it to my bookmarks haha. I really am curious to the foodie game, that seems like a lot of fun! Thanks for sharing!